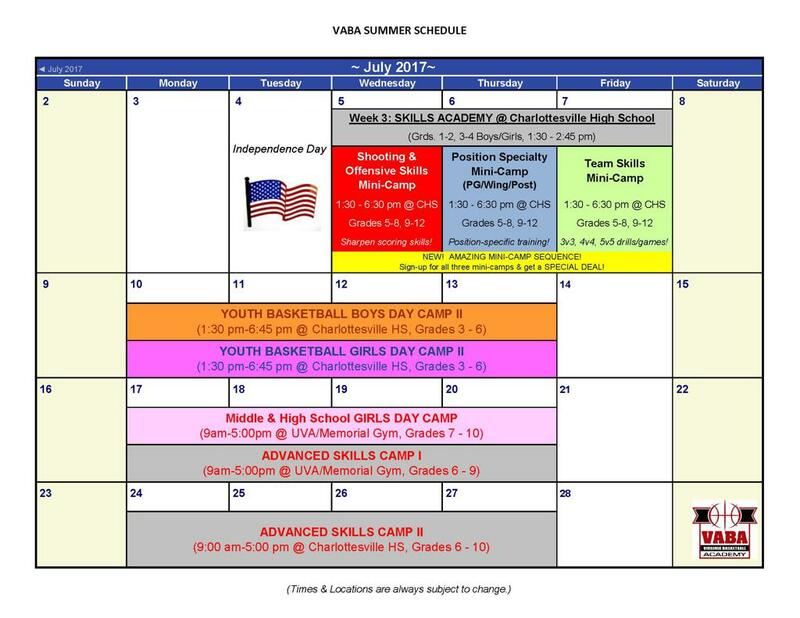 2017 Summer Calendar has been posted! SAVE THE DATES! SUMMER REGISTRATION IS NOT YET OPEN, BUT IT WILL BE AT 12:00 PM ON WEDNESDAY, MARCH 29TH. 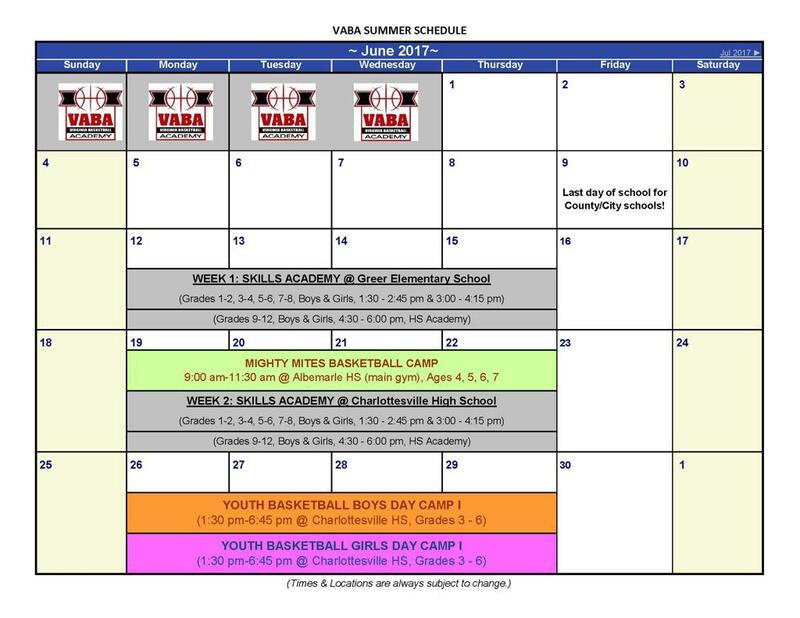 VABA Summer Programs fill fast, so be ready when registration opens - VABA summer camps and academies sell out within days sometimes. Also, check out VABA's new mini-camp series! Very cool! Looking forward to a super-fun summer!